We all have had our share of encounters with dental procedures since our childhood and have undergone some common procedures, either during that period of life, or maybe at later stages. Combination of metals and ceramics. 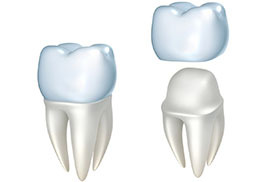 All the above mentioned materials have their own specific properties and depending upon the customer’s dental requirements the dentist may suggest using any of these. However, these days’ ceramics have completely replaced metallic crowns, because of the almost natural looking colour of ceramic materials.